Was the Iraq war really about oil? As a senior oil advisor for the Office for Reconstruction and Humanitarian Assistance (ORHA) and briefly as minister of oil, Gary Vogler thought he knew. But while doing research for a book about his experience in Iraq, Vogler discovered that what he knew was not the whole story—or even the true story. 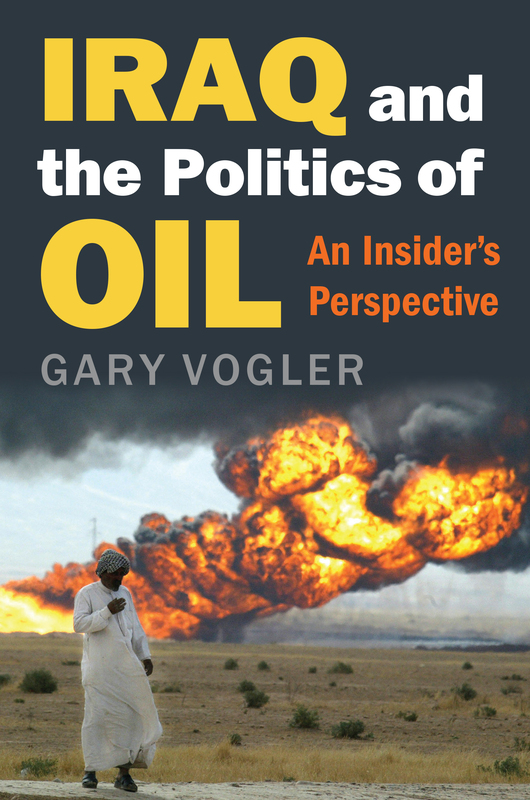 The Iraq war did have an oil agenda underlying it, one that Vogler had previously denied. This book is his attempt to set the record straight. Iraq and the Politics of Oil is a fascinating behind-the-scenes account of the role of the US government in the Iraqi oil sector since 2003. Vogler describes the prewar oil planning and the important decisions made during hostilities to get Iraqi oil flowing several months ahead of schedule. He reveals how, amid the instability of 2006 (largely fueled by the arrogance of early US decisions), the fixing of the Bayji Refinery contributed significantly to the success of the oil sector in the Sunni part of northern Iraq during and after the surge. Vogler gives us an expert insider’s view of the largest oilfield auctions in the history of the international oil industry, and his account shows how US Forces’ focus on a single Iraqi point of failure in 2007 was a primary factor in the record productions and exports of 2012 through 2017. —Ambassador Robin Raphel, former Deputy Inspector General for Iraq Reconstruction. But under the successes so deftly chronicled here, a darker political narrative finally emerges, one that reaches back to the decision to go to war with Iraq. Uncovering it, Vogler revises our understanding of what we were doing in Iraq, even as he gives us a critical, close-up view of that fraught enterprise. Gary Vogler is president of Howitzer Consulting, LLC. From December 2006 to September 2011 he was a senior oil consultant for US Forces in Iraq, and before that he served as deputy senior oil advisor, CPA, for Baghdad, and as senior oil advisor, ORHA, for the Pentagon, Kuwait, and Baghdad. Vogler, a former US Army officer, has also worked in management positions at ExxonMobil and Mobil Oil Corporations for over two decades.